High-Frequency Trading Leaders Forum 2013 (http://www.High-Frequency-Trading.info) “Strategic and Tactical Insights for Investors, Speed Traders, Brokers and Exchanges” will bring insights for investors and speed traders, who need to protect and refine their competitive advantage in a world dominated by algorithmic and high-frequency trading. Topics that will be discussed at High-Frequency Trading Leaders Forum 2013 include the movement toward emerging markets, which is increasingly attuned to the use of bots, and the regulatory environment, specifically how new technologies are changing the game, including a look at the upcoming regulatory changes in both sides of the Atlantic. 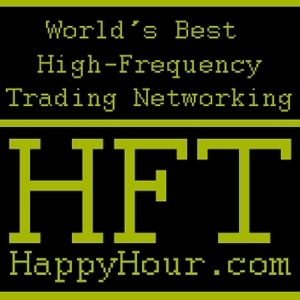 High Frequency Trading Leaders Forum 2013 is produced by Golden Networking (http://www.goldennetworking.net), the premier networking community for business executives, entrepreneurs and investors. Panelists, speakers and sponsors are invited to contact Golden Networking by calling +1-414-FORUMS0 or sending an email to info@goldennetworking.net. This entry was posted in Breaking News, Dark Pools, Equity Markets, Events, Flash Crash, High Frequency Trading, knight capital, London Exchange, London Stock Exchange, SEC, World Exchanges and tagged @AlgoTechnology, @axelpierron, @Chris_Skinner, @davecliff, @FSClub, @IzaKaminska, @Kami_Noska, @MrEdgarPerez, @StaffordPhilip, @TheSpeedTraders, Accountability, Accounting, Alex Preda, algorithmic trading, AMF, Arlene McCarthy, Author, Autorite des Marches Financiers, Axel Pierron, Bank of England, Blogger, Brokers and Exchanges, Carol Clark, Celent, Centre in Financial Computing, Chairman, Chicago, Chris Skinner, Computer Science, confidence in U.S. markets, Congressman Markey, Da Vinci InvestAG, Daniel Beunza, Dave Cliff, Director, Donald MacKenzie, Dow Jones Industrial Average, Draftsperson, Economics and Monetary Affairs Committee, Ed Markey, Edgar Perez, Electronic Trading, Equity Markets, equity mutual funds, European Parliament, Executive Director, Facebook IPO, Federal Reserve Bank of Chicago, FGS Capital, Financial Crisis, Financial Econometrics, Financial Management, Financial Services Club, Financial Stability, fiscal cliff, flash crash, Foresight Project, Forum Trading Solutions, FT Alphaville, fund deposits, fund outflows, Giovanni Beliossi, GLC, Global Markets Exchange Group, Golden Networking, Head of Research & Trading, Head of Research and Automated Trading, Head Portfolio Manager, Hendrik Klein, HFT, HFT algorithms, HFT conference, High Frequency Trading Leaders Forum, High Frequency Trading Leaders Forum 2013, high-frequency trading, high-frequency trading conference, High-Frequency Trading Leaders Forum 2013 London, Hirander Misra, Imperial College London, initial public offering, Investment Company Institute, Investment Research, investors, Izabella Kaminska, Joe Saluzzi, Joseph Noss, King’s College, Knight capital, KNIGHTMARe ON WALL STREET, Lead Expert, Lecturer, London, London School of Economics, Magrino Bini, Managing Partner, March 21, Marguerite Yates, Market Abuse Directive, Markets Division, McKinsey, Millennium Partners, mutual funds, Nasdaq, New York, Oliver Linton, P.C., Partner, PhD, Philip Treleaven, Philippe Guillot, Policy Specialist, Rebecca Healey, Sam Tyfield, School of Social and Political Sciences, SEC, Securities & Investments, Securities and Exchange Commission, Senior Advisor, Senior Analyst, sovereign default, speed traders, Speed Trading, Statistical Arbitrage Portfolio Manager, stocks and bonds, Strategic and Tactical Insights for Investors, Stuart Theakston, Tabb Group, The Speed Traders, The Speed Traders Workshop, Themis Trading, Tommi A. Vuorenmaa, UCL, University of Bristol, University of Edinburgh, Valo Research and Trading, Vedder Price, Vice Chair, VJ Angelo, Walter Distaso, Washington. Bookmark the permalink.